What happened during this HW Fringe debut? **Dr. Demento aired a song from the show on his program! **Allan Sherman’s son Robert Sherman attended the show!!! Come see what all the hoopla is about! 1 mo’ time – let’s say HELLO AGAIN! To the Songs of Allan Sherman! In “Hello Again! The Songs of Allan Sherman,” award-winning singer/comedienne Linden Waddell pays homage to this comedy icon by performing a delightfully humorous compilation of his wittiest ditties. 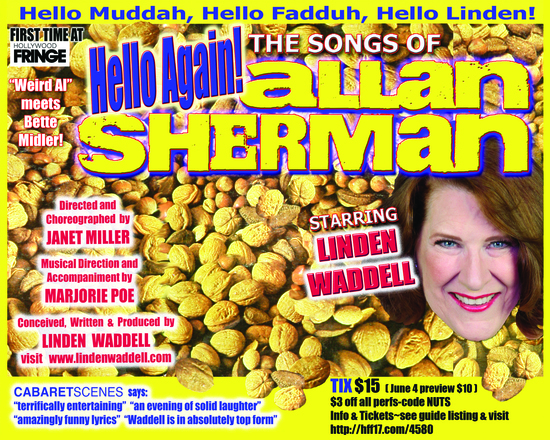 Sherman won a Grammy Award for his best-known song, an international hit about a child’s letter home describing a miserable camp experience in “Hello Muddah, Hello Fadduh,” so this show says “Hello Again!” to the songs of Allan Sherman. The nutty revue features traditional folk and ‘60s pop songs, Great American Songbook standards and musical theatre classics by Cole Porter, Richard Rodgers, Harold Arlen, Jerome Kern, George Gershwin, Henry Mancini and Irving Berlin, who called Sherman “the most ingenious and brilliant parodist in the history of songwriting.” The show is rated G – suitable for all ages – with huge appeal for Baby Boomers, fans of The Dr. Demento Show and Weird Al, the Jewish community, and those who are nostalgic for the ‘60s. But younger audiences embrace the wackiness too, with enthusiasm. Inventive props, audience participation, even a pre-show quiz handout make “Hello Again! The Songs of Allan Sherman” a true crowd-pleaser for anyone who loves to laugh. Let’s take a BREAK from today and LAUGH by saying hello, again, to the songs of Allan Sherman! NOTE: The Stephanie Feury Studio Theatre is on the 2nd floor, only accessible by stairs. 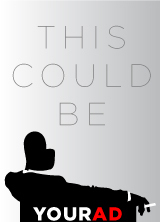 The theatre is not ADA accessible.